So most people who know me know that i am very very rarely seen without any eyeliner on. Its just as important as mascara to me and I hate being without it! My obsession has led me to try a lot of different eyeliners. Especially cheap ones. As I usually do winged eyeliner, I need an eyeliner that is qute runny with a very thin brush. The eyeliner that I think is perfect for winged liner is the basic Topshop Liner. I discovered this one not long ago when I was in desperate need of eyeliner and I was ordering from topshop online so I just added it to the bag and boy am I glad I did. For the amazing price of £7 I did not expect it to be that great but it couldn't have surprised me more. It lasts extremely long and does not crack or flake off. Its very black and keeps a shiny just applied look. The brush is very thin which makes is very easy to apply a thin black line and to also build on it for a thicker look, it is also extremely good for precision. 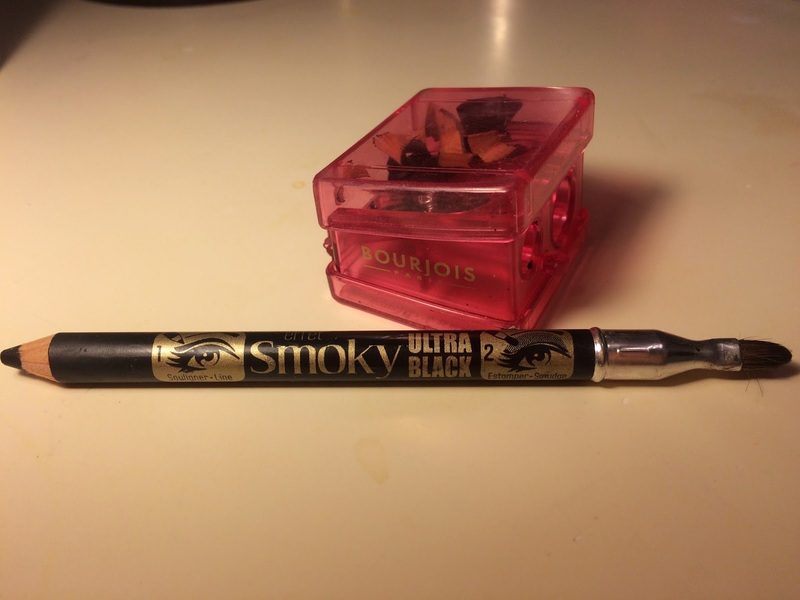 The next liner I am going to recommend is the Smokey Effect Ultra Black liner by Bourjois Paris. At £5.49 this is definitely a bargain. It also lasts very long and can be worn as basic eyeliner or smudged out for a smokey eye look or eyeshadow effect. This liner is great if you don't want t to go for such a bold lined eye look as you can just smudge out the line for a darker shadow around the eyelid. As this pencil is really soft it is important to use a proper sharpener for it so I also went for a Bourjois one just to be safe. 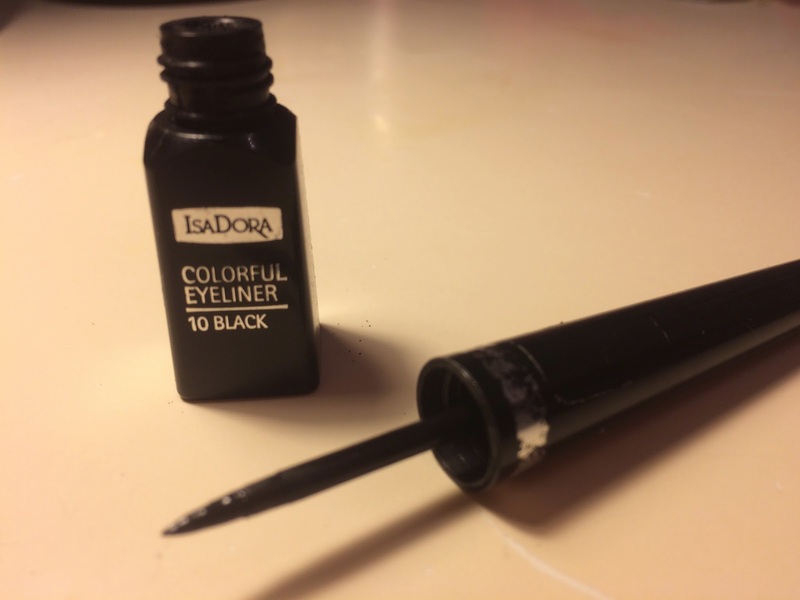 My next recommendation is back to liquid liner.Its the Isadora Colourful Eyeliner in Black (10). I bought this back home for £35 Lithuanian Litas which over there is a lot for an eyeliner so I was shocked to find out it is approximately £8 in the UK. Although it is a lot more expensive than most other drug store liners it is definitely cheap considering how good it is. It is even more long lasting than the Topshop one except the brush is a lot thicker so its not as easy for create a thin wing, however it is great for thicker lines. 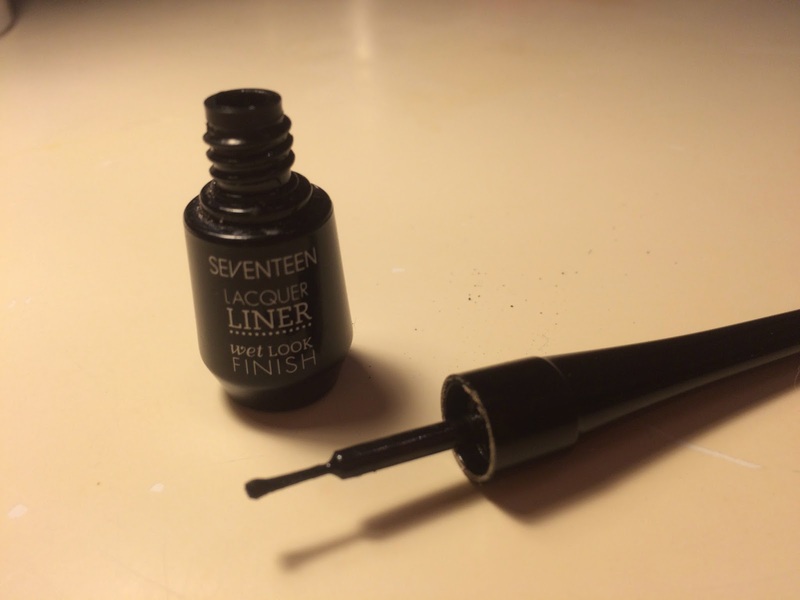 The next one is probably one of the cheapest well working ones out there at £3.99, it is the Seventeen Lacquer Liner - Wet Look Finish. This one lasts long and does not chip or flake. It doesn't deal too well with being layered up though as thats when it starts to crack! It also will crack if you rub it accidentally however I think for that price that it does work very well. The only other thing is that due to the brush being made from individual bristles, it does tend to lose its shape and make it much harder to achieve precision. 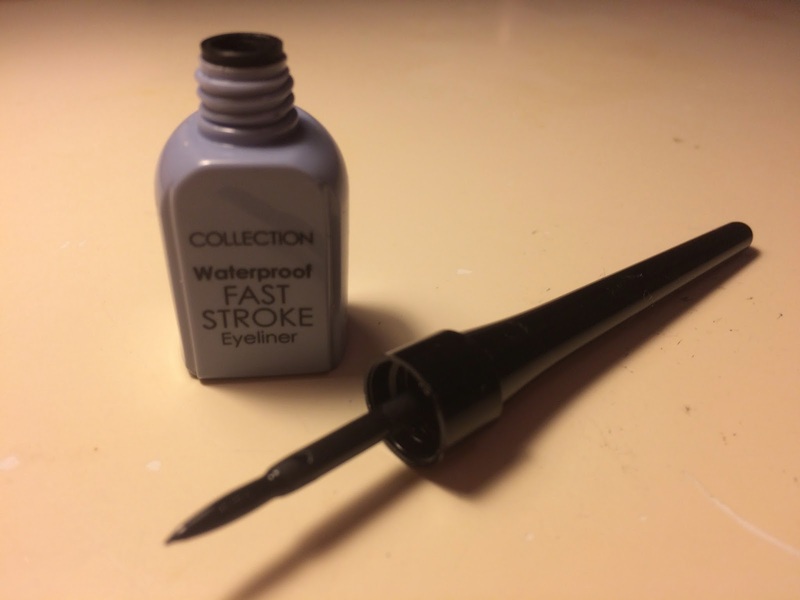 My next recommendation is the Waterproof Fast Stroke Eyeliner by Collection 2000. 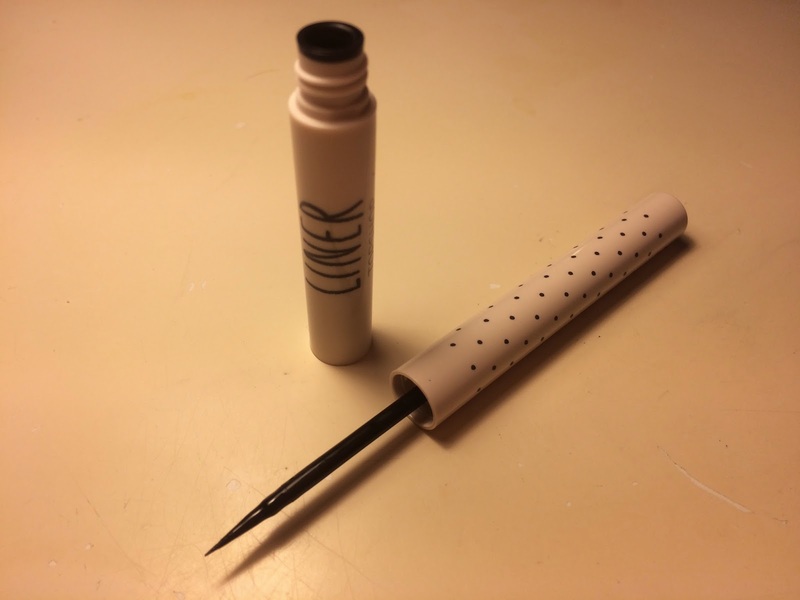 At 2.99 it is good as a regular liner, it does stay on however if it gets wet it will smudge. The brush is precise which makes it easy to apply and the colour is very dark. I would recommend this as a regular liner more than a waterproof one as if you're planning on going swimming chances are you'll end up looking like a panda. 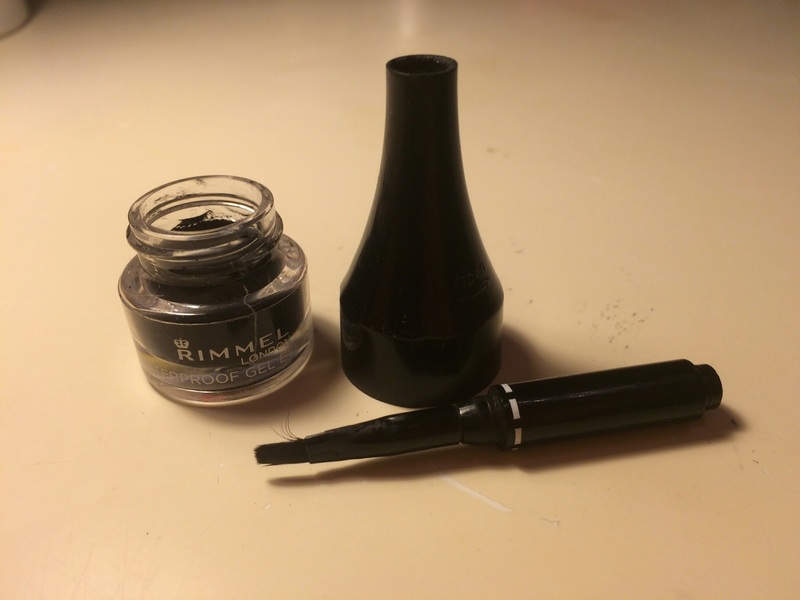 And my final recommendation is..... the Waterproof Gel Liner by Rimmel London. At £6.49 this is also definitely a bargain. Its easy to apply, matte black and once its on its on, no need to worry about it coming off. It might not always last as long as some of the liquid liners however when it fades it won't fall off or leave cracks it'll just get a bit lighter without leaving you looking like you've rubbed your eyes. This one is also great as it can be used for a less intense look and can be smudged out before its dry. Its also great to wear with eyeshadow due to its matte look.